The Truth About Music » Harris’ Song of the Week: This Town by O.A.R. 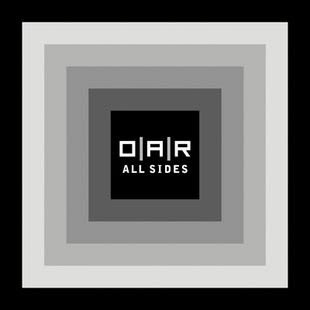 After finding out this week that I would be covering O.A.R.’s summer concert in Hartford I have been looking into some new music of theirs. I think I have found my favorite song and it is the second single from their latest album, “All Sides.” The song “This Town,” is a really great example of what this band has to offer and I am so excited to see it performed live because of it’s obvious live element. The chorus sings “This town, this night, this crowd, come on put them up, let me hear it loud.” Those lyrics were made to be performed live and even on the recording you get the feeling that the song is being performed for thousands. O.A.R. will be touring to support their most succesful mainstream album to date. The first single “Shattered,” has done extremely well on the charts and should help make this summer’s tour a big hit. “This Town,” is truly a great song so please check out the video on YouTube and if you enjoy it, consider supporting live music and seeing them in concert. They will be performing in Madison Square Garden with Brett Dennen and in Hartford with Matt Nathanson who is also amazing. Check out the making of the still unreleased video for “This Town,” on YouTube or check out this unofficial video for “This Town,” also on YouTube.